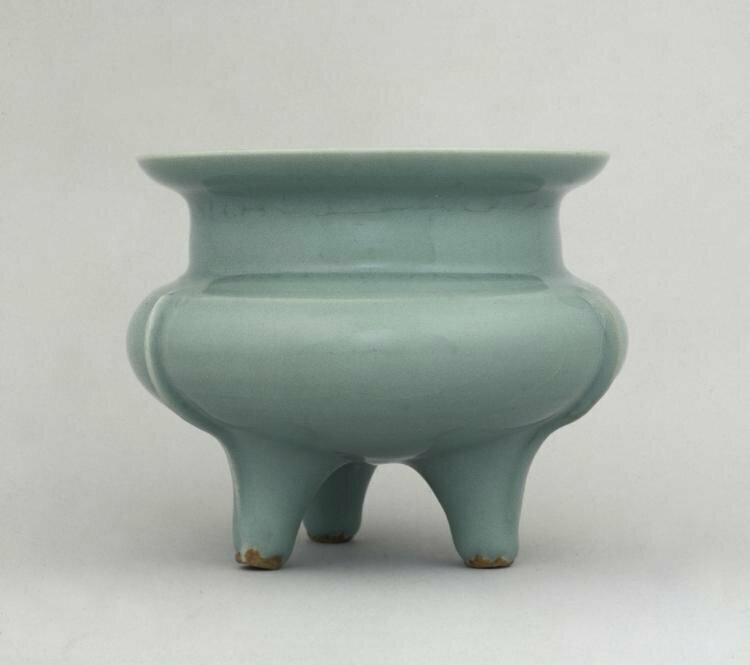 Incense Burner in the Form of Archaic Li, Longquan Ware, 13th Century, China, Zhejiang province, Southern Song dynasty (1127-1279), glazed porcelain, Diameter - w:16.20 cm (w:6 3/8 inches) Overall - h:13.50 cm (h:5 5/16 inches). Bequest of Mrs. Severance A. Millikin 1989.271, Cleveland Museum of Art © 2013 Cleveland Museum of Art.